Near 406 Victoria Road in Mount Davis by the west coast of Hong Kong island is a Chinese pai portal obscured by trees and fences with the red Chinese characters “Maui Kong Ve-Pein Factory”. 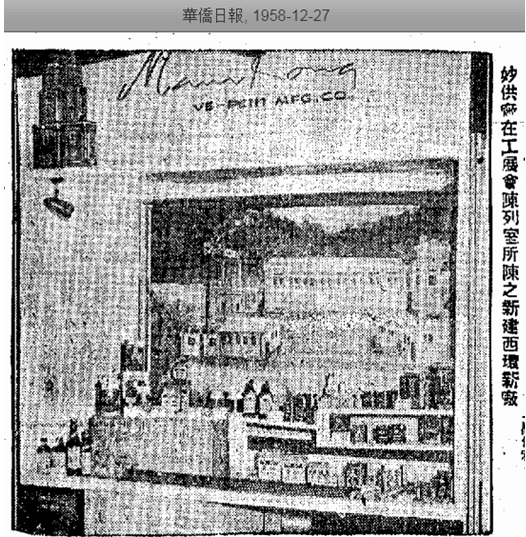 The site was once a plant of the pioneer of the HK gourmet powder industry of the same name – Maui-Kong Ve-Pein Manufacturing Co, which was founded in 1934, three years before the better-known MSG maker from Shanghai, Tien Chu Ve-Tsin, set up its plant in HK. From the 1930s to the 1960s, Maui-Kong Ve-Pein was a prominent brand of gourmet powder that was marketed worldwide and a fixture at the annual HK Products Expo although today all that is left is this faded pai portal behind the bushes. The founder of Maui-Kong – Chang Shun-yen (張循然) was a native of Shunde in Guangdong province who started working at the age of 12 at his father’s shop in his hometown. Later he came to HK where he learned English at St Paul’s College. He continued his studies at the Baptist sponsored University of Shanghai where he studied chemistry under the department head Dr. T.W. Zee, who also exposed him to gourmet powder. After graduation, he worked as a scientist at the Ministry of Commerce Product Inspection department while continuing his research into gourmet powder. As the war condition worsened in the North, Chang joined his family in HK where he tinkered with gourmet powder. Impressed by his product, his father supported his launch of Maui-Kong in the winter of 1934 and started the first factory at Section 131 Lot 730A in New Territories. Production was challenging as first given the lack of electricity supply and shortage of industrial alcohol which was a key ingredient for gourmet powder production. But Chang managed to secure electricity supply and also substituted alcohol with other materials and techniques. Business took off the Japanese invaded the North and Shanghai, causing disruption of supply from Shanghainese manufacturers and the wave of anti-Japanese sentiments also helped business as Ajinomoto MSG was a big competitor. A second, much larger plant (120,000 sq ft) was added at Section 131 Lot 755 and 756 in 1937 and Maui-Kong products were not only popular in HK and Macau but throughout Southeast Asia in the late 1930s. 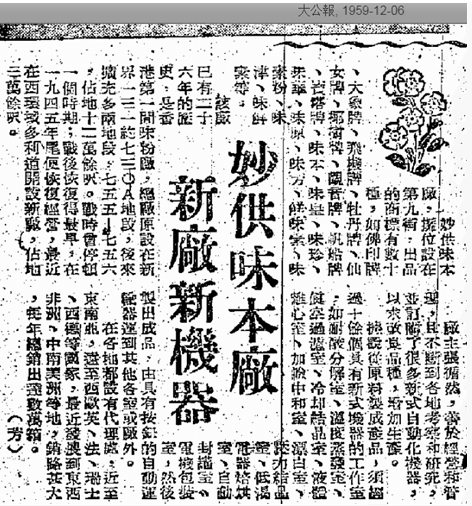 During the Japanese occupation of HK (1941-45), the plants in New Territories were looted three times and as a result, production was suspended. In the winter of 1945, Maui-Kong was amongst the first gourmet powder factory in HK to resume production with two new plants – one on Tung Lo Wan Road in HK island and the other in Tai Kok Tsui in Kowloon. The brief monopoly resulted in great profits but the two plants were soon shut down by the government as they were not located in designated zone for gourmet powder production so Chang re-opened the factories in New Territories. The brands of gourmet powder manufactured by Maui-Kong Ve-Pein included “Buddah Heart Seal Brand Ve-Pein” (佛印牌味本), “Montan Peony” Brand “Ve-Wah” (牡丹牌味華) “Elephant Brand Ve-Wong” (大象牌味皇) “Aeroplane Brand Ve-Tsan” (飛機牌味珍) “Kwong-Yum Brand Shin-Ve-Sui” (觀音牌鮮味素) and “Coco-Tree Brand Ve-Eng” (椰樹牌味芳). In 1958, the 30000 sq ft waterfront plant on Victoria Road opened – according to an interview in 1959, the plant had a dozen different rooms as the production of gourmet powder involved a dozen different steps and it was equipped with state of the art machinery. By that time Maui-Kong products were not only exported to Southeast Asia but Western Europe and also recently entered the markets of East and West Africa and Central and South America with annual outputs of several tens of thousands of crates. 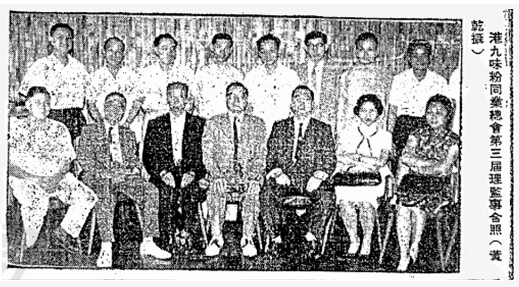 In the 1950s and 1960s, Chang was very active with industry organizations such as the Chinese Manufacturers Association whom he was a director of and led delegations to Japan and Malaya to explore business opportunities. 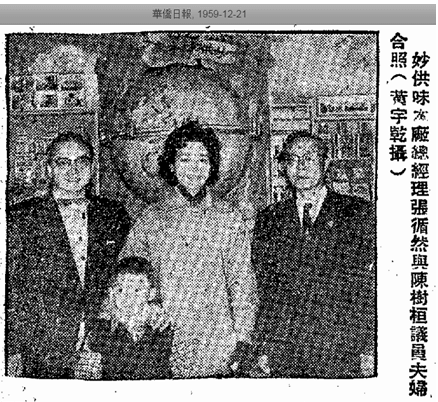 In 1956, Chang together with a number of competitors such as Ma Ping-shan (馬平山) of Tin Wah Gourmet Powder & Soy Factory (天華醬油味冠廠) and Leung Kin-cheung (梁建章) of Chung Nam Gourmet Powder Factory (中南味粉) and trading houses such as Getz & Co and Cheung Tai Hong (distributor of Ajinomoto MSG) led the formation of the HK Kowloon Gourmet Powder Merchants General Association (港九味粉同業總會) and served as its chairman. By 1961, the HK gourmet industry was fairly substantial with annual sales of HK$14 million although competition from Japanese and Taiwanese manufacturers were intense. Chang was supported by his wife Chang Yao-ling (張嶽齡) who ran a raw material procurement and sales affiliate of Maui-Kong called Ying Cheong Food Products and she was elected head of the gourmet powder committee of the Chinese Manufacturers Association in 1959. A subsidiary in Malaysia by the name of Maui-Kong Ve-Tsin Manufacturing (Malaysia) Co Ltd was established in the 1960s but in 1966 Tien Chu Ve-Tsin HK successfully received court order to restrain Maui-Kong from using the term “Ve-Tsin” in its trademark. There are no news about Chang or the firm after 1971 and the Victoria Road plant was demolished. This article was first posted on 30th March 2018.